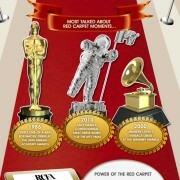 With award season in full swing, we thought it might be fun to take a journey along the famous red carpet! Red carpets are a staple at almost every notable function, even outside of Hollywood! The carpet provides photographers and press with the opportunity to interact with talent, while the talent has an opportunity to promote their projects and causes. A win-win! Hosting an upcoming event and need red carpet coordination or celebrity attendance? Shoot us an email to find out how we can help transform your red carpet experience! 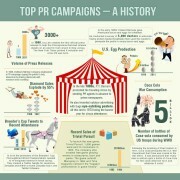 Check out this fun infographic below featuring some of your favourite red carpet moments, courtesy of Carpet Right. 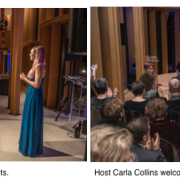 TORONTO, ON (November 23, 2016) – On Saturday, November 19, 2016, over 250 members and allies of the LGBTTIQQ2S community filled Toronto’s award-winning Integral House to enjoy an evening of celebration and performances in support of Community One Foundation. Hosted by Canadian comedian Carla Collins and sponsored by RBC and Team PK, the evening was a decadent affair, complemented by custom Bar Chef cocktails and gourmet delights. VIP guests arrived at 6:30 p.m. and were treated to an exclusive tour of Integral House by Brigitte Shim of Shim-Sutcliffe Architects, along with performances by the world-renowned Opera Atelier. At 7:30 p.m., the event opened to the public and showcased a variety of performances from Community One Foundation Rainbow Grant recipient Tessa Goodon and popular Toronto drag artists Sofonda Cox and Donnarama. In addition, the foundation awarded the winner of their annual Steinert & Ferreiro Award, Canada’s largest single cash award in recognition of leadership in the LGBTTIQQ2S community, to Toronto-based advocate Doug Kerr. Kerr was chosen for his commitment to volunteerism, social activism along with his steadfast ability to drive collaboration across a multitude of initiatives in both a Toronto and global context. Community One Foundation is one of many charitable organizations that Integral House’s builder James Stewart (late mathematician and textbook magnate) has donated proceeds to. A longtime LGBT activist, Stewart planted roots in the community by inviting “gay rights activist George Hislop to speak at McMaster in the early 1970s, when the LGBT liberation movement was in its infancy, and was involved in protests and demonstrations until mathematics began to dominate his life.” (Daily Xtra, 2014). TORONTO, ON – Weeks after the reported sale of Toronto’s celebrated and award-winning residence Integral House (194 Roxborough Drive, Rosedale), the Community One Foundation – an organization with grant and award programs dedicated to the development of LGBTTIQQ2S communities in the GTA – is excited to announce “Community One Presents an Evening at Integral House”. The event, happening on Saturday, November 19, 2016, will be the last publicly available event before the sale of the famous property. Established in 1980, the Community One Foundation provides grants to LGBTTIQQ2S community projects in the Greater Toronto Area, including Durham, Halton, Peel and York Regions, focusing on the areas of arts and culture, health and social services, and research and education. The Foundation also promotes community philanthropy through strategic partnerships such as the Bill 7 Award and the LGBT Giving Network. To celebrate National Dessert Day, Ben and Jerry’s and Urbery are coming together to spread peace, love and ice cream throughout Toronto! 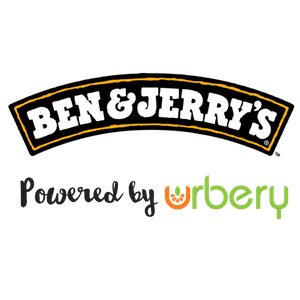 On Friday, October 14, 2016, Toronto residents can order a free pint of Ben & Jerry’s ice cream right to their doorstep with the help of Urbery, Toronto’s leading grocery and alcohol delivery service. Customers will be able to choose from three popular flavours: Half Baked, Cookie Dough and the Jimmy Fallon inspired Tonight Dough. To place an order, simply visit https://benandjerry.urbery.com. When prompted for a promotional code, enter “DESSERTDAY2016” to take advantage of the free ice cream offer. Pints will arrive curb side in 30 minutes or less! 12:30 p.m. – 4:30 p.m. and 6:00 p.m. – 10 p.m.
Ben & Jerry’s, one of the most loved brands, known for its delicious, euphoric flavours since 1978, introduced the unique #DoughToDoor campaign with Urbery in late September, providing downtown Toronto customers with on-demand curb side ice cream pint delivery. Due to the massive success of the campaign, the service has been extended to Sunday, October 16, 2016. Outside of the National Dessert Day promotion, customers can order Ben & Jerry’s pints in 30 minutes or less at a cost of $8.99/pint (no tax), with $4.50 + HST for delivery; free delivery applies if two or more pints are ordered. Tax, tip, and delivery are all included in the total price. Delivery times are as follows: Friday, October 14, 2016 from 12:30 p.m. to 4:30pm and 6:00 p.m. to 10 p.m.; Saturday and Sunday 6:00 p.m. to 10:00 p.m.
Urbery is a same-day grocery and alcohol delivery service available on mobile and web that enables customers to get groceries delivered from their favourite store to their doorstep in two hours. Urbery has over 10,000 grocery and alcohol products that customers can choose from or can create their own customized list. At the heart of Urbery’s operations are Grocery Gurus, a hand-picked group of personal grocery shoppers, who shop for each customer’s order and deliver it to their doorstep. 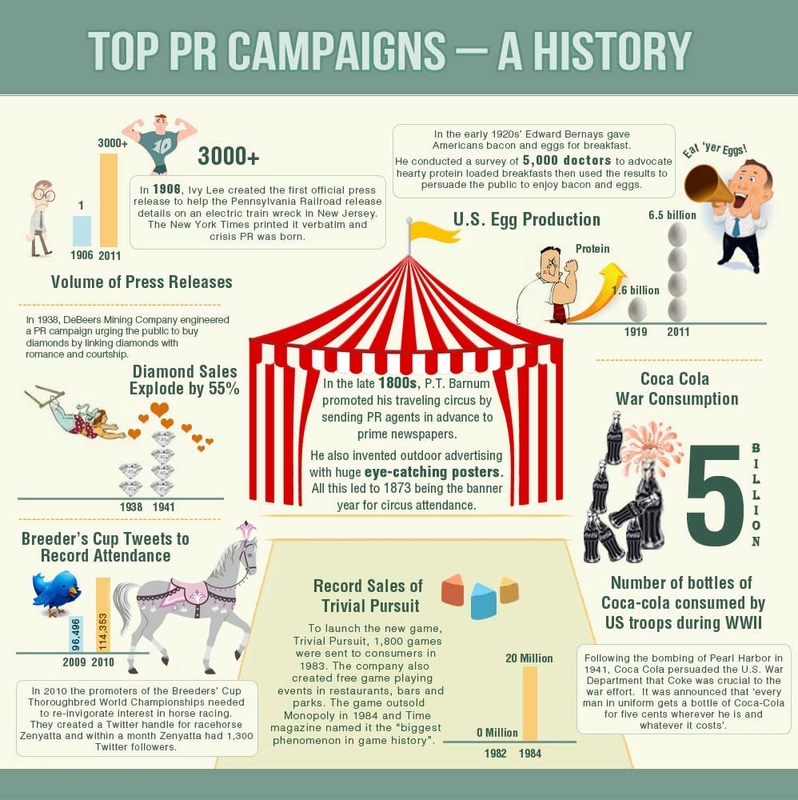 Urbery also works with leading retailers and CPG companies to develop customized marketing campaigns, delivering valuable consumer purchasing insights and promotional support. TORONTO, ON - As the summer days draw to a close, National Lazy Day (Wednesday, August 10, 2016) is one of the last chances for many to embrace their inner sloth and spend time relaxing in the seasonal heat. With the inevitable change of pace looming, Urbery, Toronto’s most personalized alcohol and grocery delivery service, has compiled a list of five dreaded tasks and paired them with online tools that will help Torontonians free up their time to enjoy the upcoming holiday. Walking the dog: As many pet owners know, most days start with a walk around the block with man’s best friend. GoFetch (available on iPhone) can be described as the Uber of dog walking, allowing users to hire nearby (pre-screened) dog walkers in increments of 15 minutes, 30 minutes or an hour at prices as low as $10. Getting groceries: From lifting to line ups, grocery store shopping can be a real pain — particularly for city dwellers without a car. Urbery (available on web, iPhone or Android) is the solution, offering customers the chance to order two hour delivery from many of their favourite grocery stores (Whole Foods, Loblaws and Sobeys), pharmacies (Shoppers Drug Mart and Rexall), and liquor stores (LCBO and Beer Store). Urbery also offers real-time tracking and interaction with personal shoppers (Grocery Gurus) to ensure all products are hand picked and delivered the way the customer wants, along with a 100% freshness guarantee. Getting ready: Any busy mother or working professional will agree that getting ready for an evening out or a special event can be a time consuming task. beGlammed (available on web, iPhone or Android) aims to make this process easier with on-demand hair and makeup artists that will come directly to your home or hotel room to prepare you for your special function. With women spending an average of 55 minutes a day on their appearance, this tool is a welcome time-saver on those extra-busy (or lazy) days. Cleaning the house: The lazy person’s dream is to never have to clean the house again. Handy (available on web, iPhone or Android) strives to make this dream a reality with their professional cleaners and handy-people who will clean the house, assemble ikea furniture, paint, and even help you move. This service requires next-day booking, so make sure to plan ahead for National Lazy Day! Doing the laundry: Washing, folding and taking items to the dry cleaner’s are a thing of the past with Simply Laundry (available on web). This service aims to streamline your life by picking up all of your dirty clothes from your front door or concierge, and returns them to you at the time of your choosing. With wash and fold plans starting at as low as $1.92 a pound, Simply Laundry is one of the most affordable ways to avoid the tedious chore of doing your laundry. Urbery is a same-day grocery and alcohol delivery service available on mobile and web that enables customers to get groceries delivered from their favourite store to their doorstep in two hours. Urbery has over 10,000 grocery and alcohol products that customers can choose from or can create their own customized list. At the heart of Urbery’s operations are Grocery Gurus, a hand-picked group of personal grocery shoppers, who shop for each customer’s order and deliver it to their doorstep. TORONTO, ON (July 26, 2016) - Comedian, actress, television host and best-selling author Carla Collins has recently launched a new web series, titled Carla Collins Comes Clean, produced by LA-based production company SHEnaniganz and directed by award-winning filmmaker, Thomas D. Moser. The wickedly hilarious first episode, titled “Korean Spa” was launched on July 21, with followup episodes scheduled every Thursday on Collins’ YouTube channel. The single camera series, which features Collins speaking to camera in a bubble-filled bathtub, presents the comedian sharing personal stories in an uninhibited and no-holds-barred manner. Ranging from three to five minutes, each episode takes the viewers on a journey through the exciting and sometimes unbelievable mishaps Collins encounters regularly in her day-to-day life. From hosting Canada’s highest rated entertainment show “eNow” to starring in her hit network television series, “Carlawood”, Collins has become a prominent and well respected figure in the Canadian entertainment scene. Carla’s first solo stand-up special, “The Wonder Bra Years”, aired on The Comedy Network, becoming one of the highest rated in the network’s Comedy Now series. Hailed as the “Queen of Comedy” and “Canada’s Tina Fey” by Canadian press, Carla can currently be seen as a celebrity panelist on Super Channel’s new comedy/variety series “Too Much Information” and is also a regular celebrity gossip and fashion commentator on Breakfast Television. Since moving to Los Angeles, Collins was named “the funniest woman in comedy” by BeautyStyleWatch magazine and headlines clubs and theatres all over North America. She has become a staple in the stand-up community, performing at venues such as The Hollywood Improv, The Comedy Store, The Jon Lovitz Club and Flappers in LA. Carla has also been featured in Just for Laughs, the Los Angeles Comedy Festival, and the Vancouver Comedy Festival. Recently, Collins was awarded the prestigious Comedian Of The Year Award by the Southern California Motion Picture Council and is currently filming “The Last Laugh” a sitcom she created about performing stand-up at funerals. SHEnaniganz, owned by Penny Edmiston, is a production company based in Los Angeles. Edmiston is an award-winning filmmaker with a successful 30 year career of producing commercials, stills and documentaries such as “Bones Brigade” directed by Stacy Peralta and the 2016 Cannes Lion winner Norton’s “Where Cyber Crime Goes To Hide” directed by Academy Award winner Daniel Junge. She is currently in post production on her film “The Hiraeth”. With many television and documentary projects in development, she hopes to continually be inspired by content, corn-dogs and the bigger picture. Thomas D. Moser is an award-winning filmmaker with over 15 years experience in directing, editing and visual effects. He has worked in film and television for a range of studios and production companies, including Marvel, Lionsgate, Disney, Sony and Mattel. He currently resides at Blacklist Digital, the production company responsible for indie hits “Band of Brothers” and current Sundance film “The First Girl I Loved”. TORONTO, ON (July 20, 2016) - Urbery, a Toronto-based same-day delivery service for groceries, LCBO, Beer Store, over-the-counter pharmacy and household products, is celebrating tremendous product adoption in the Toronto area, with 175% growth over the past year. Since launching in 2015, the popular on-demand service has also been strategically developing pilot projects with companies like Unilever and KCC. 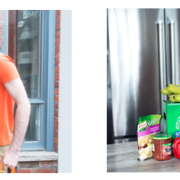 With more than one third of online shoppers expecting to buy their groceries online in 2016 (Morgan Stanley, 2016), Urbery continues to focus on bringing personalized service to the marketplace, offering customers the chance to order from many of their favourite grocery stores (Whole Foods, Loblaws and Sobeys), along with pharmacies (Shoppers Drug Mart and Rexall), and liquor stores (LCBO and Beer Store). Beyond ordering from favourite stores, Urbery also offers the unique experience of real-time tracking and interaction with personal shoppers (Grocery Gurus) to ensure all products are hand picked and delivered the way the customer wants. Adding to the service’s perks is a 100% freshness guarantee, ensuring consumers always receive only the best products at their door. Another feature currently in development involves easy recipe checkout, empowering customers to consult partner recipes and order all elements with a click of a button. Urbery is also excited to announce the addition of Stephen Tallevi to their board of advisors. Stephen was one of the founding members of Grocery Gateway, and ran operations for over 10 years. After Grocery Gateway, Stephen joined Walmart to help launch the grocery click-and-collect model and now holds a position as Assistant Vice President within the ecommerce division. Customers can order from Urbery in just three easy steps: select products at Urbery.com or on the smart phone app, identify their desired delivery time slot and pay securely online. The service offers free delivery on orders over $65 and charges a $10 fee for alcohol delivery. Delivery can be completed same-day within two hours of order placement. 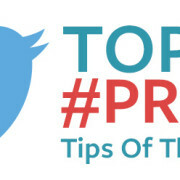 Customers can interact and track the location of their Grocery Guru and communicate any individual preferences they may have (e.g. ripeness of avocado) via text messages or by speaking directly with their Guru. After order arrival, buyers are able to rate their experience to ensure service satisfaction. In addition, all Gurus are subject to a comprehensive background check, in which Urbery exercises a zero tolerance policy.